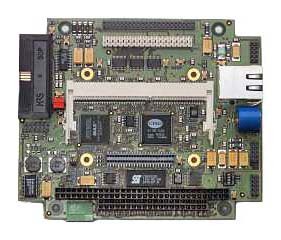 The MIP520 is a highly integrated industrial single board computer in PC/104 form factor. It is fully PC/AT compatible and well suited for applications requiring a small size, high performance PC with great flexibility. The MIP520 can be used in a standard operating environment without the need of a fan. All major components required to build a complete and sophisticated PC/AT system are implemented on the MIP520 board. It features a VGA interface for flat panel and CRT (simultaneous panel and CRT operation possible), an E-IDE and FDD port, one parallel and two serial ports, keyboard and mouse interface, SSI, speaker output and one timer interface and a real time clock. Optional you have the possibility for Ethernet and/or USB controller on board. With the integrated 16-bit PC/104 interface, flexible expansion possibilities are also available. All connectors are standard 2mm headers for an easy connection, except the FDD port (34-pin, 2.54mm connector) and the Ethernet connector (RJ45). Particular precaution has been taken of the EMC so that an entire system can fulfill the CE and FCC requirements. 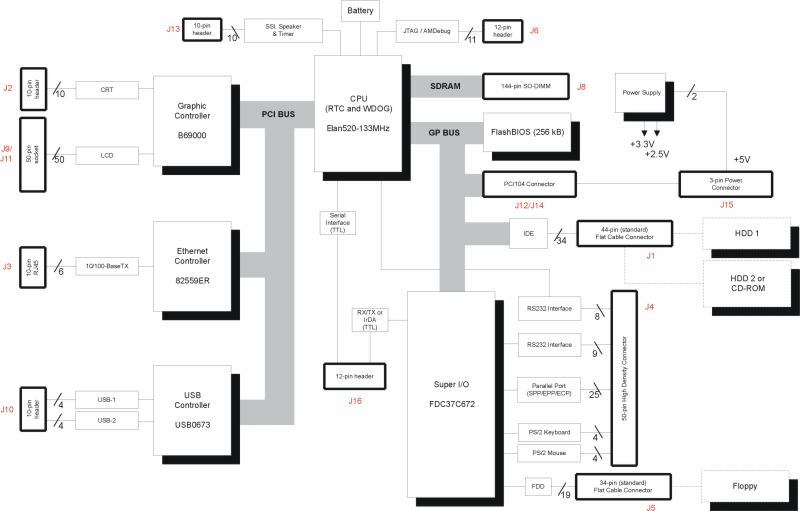 All these features make the MIP520 to the ideal solution for any low-cost embedded control applications, where a flexible and fully compatible PC/AT is needed. Watchdog distinct keyed write sequence Programmable time-out 0,5msec – 32sec.